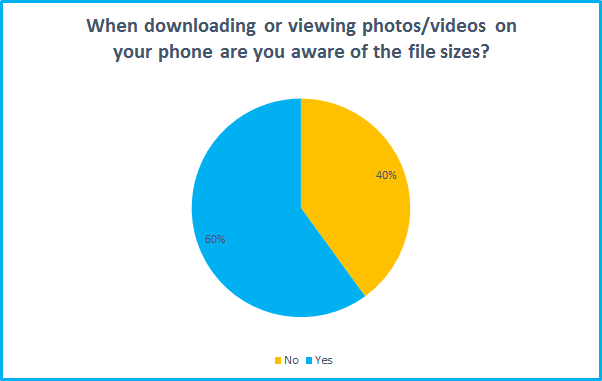 We’ve become reliant upon the instant, always-on access to the internet afforded by smartphones, but between apps, photo uploads, video streams and everything else it’s easy to quickly consume a huge amount of data. 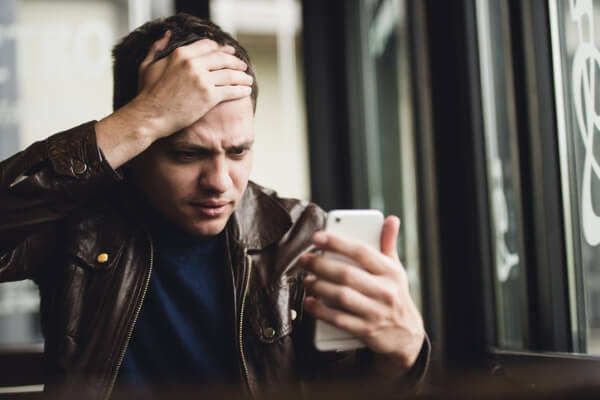 If you’re one of the many smartphone users on PAYG or a contract with a relatively small monthly cap, this could become expensive. 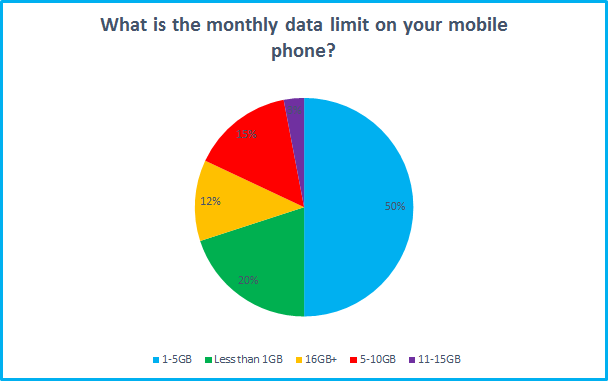 We polled 1,097 Broadband Genie visitors to find out more about their mobile data use, and discovered that 50% have a monthly data usage cap of only 1-5GB, while 20% have less than 1GB. 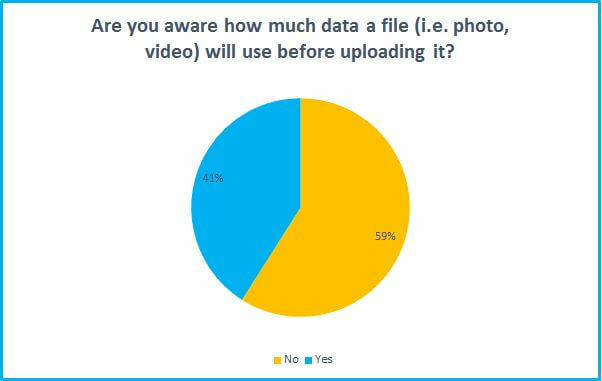 We also found that many have no idea how much data is consumed by downloading or uploading files, so could easily exceed a small data cap by accident with normal use. 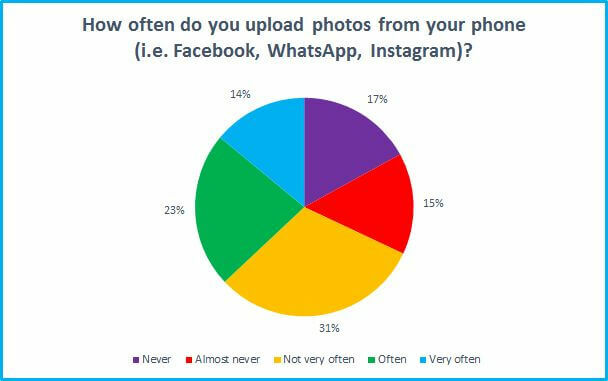 14% of respondents to our survey said they upload photos from their phone at least once a day, and 23% do it several times a week. 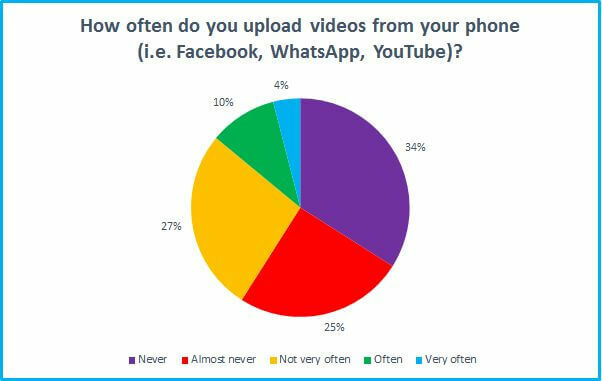 And when it comes to videos, which can be very large files, 4% said they upload at least once a day and 10% several times a week. 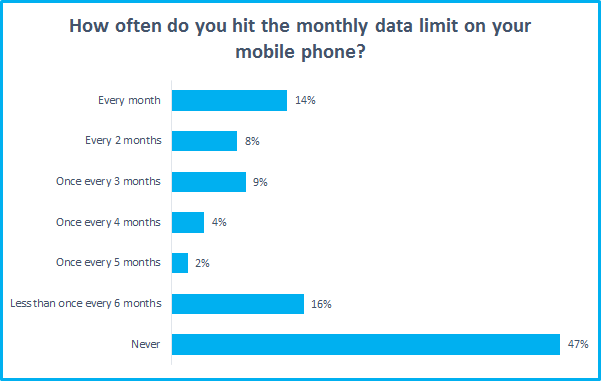 Although 47% of those polled said they never run over their mobile data limit, a sizeable 14% admitted it happened every month, and 8% exceeded it every two months. What happens when you hit the cap? Some providers automatically block access until additional data is purchased, while others begin charging at a fairly high rate. Extra data for O2 mobile internet costs £3 per 100MB, while Vodafone applies a £6.50 fee for each 250MB (and Vodafone admits on its web site that although it has an option to block access automatically after going over, this is switched off by default). Web browsing, email, social media and instant messaging are all low impact, but if you frequently stream music and video, upload files and download large apps, a bigger data cap is useful. Pick a mobile contract with an appropriate data limit and you’ll never have to worry about extra costs. This does not need to be particularly expensive - unlimited data contracts are available for under £30. If you’re often paying over use charges it might work out cheaper in the long run anyway. Software running in the background of your smartphone or tablet can quietly consume data without your knowledge. Check software settings to disable automatic features or limit them to Wi-Fi connections. Or simply disable mobile data access when you’re not actively using it. If you want to get really clever this behavior can be automated with apps such as Tasker. Android and Apple iOS users can monitor data usage via their respective settings menu to see how much data has been used. Android is a bit better about this out of the box as you can set a data usage alarm (and some phones, such as the Samsung Galaxy series, can automatically disable data access to selected apps). Similar functions are available for iPhone and iPad using third party apps. At the risk of stating the obvious...if you’ve got home broadband and it’s not urgent, wait and use your home Wi-Fi for particularly demanding activities like video streaming and large file transfers. There are thousands of free Wi-Fi hotspots around the country which can be used to save on mobile data. If you’re a BT Broadband or Sky Broadband customer you have access to their networks as part of your contract, but O2 also operates Wi-Fi hotspots which are open to all. 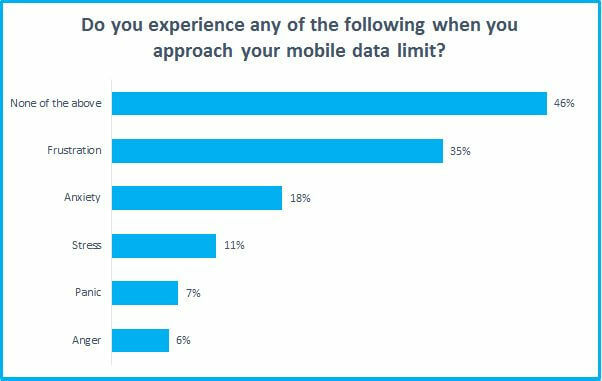 If you don’t already have one ask the mobile provider to set a bill spending limit or automatically block internet access if the data cap is exceeded. This is particularly useful if you’re responsible for paying someone else’s bill!